Several new sizes and styles of moving blankets, plus carpet shields, packing tape multi-packs, hand truck replacement parts and more added to lineup in time for a busy moving season. Burlap Moving Pad, Available in single quantities, 4-pk, 12-pk, and 24-pk sets. As the official kickoff to moving season gets underway, US Cargo Control has added several new products to its line of professional moving supplies. The moving blankets category received the greatest number of new product additions, including new smaller sizes and larger quantity packs of the company’s popular Econo Saver moving pad and the Moving Skin. Burlap moving pads have also been added; these versatile blankets offer excellent protection with less loft, thanks to a full side of natural burlap. The breathable fabric makes them great for protecting outdoor items, in particular: tools, bicycles, patio furniture, etc. 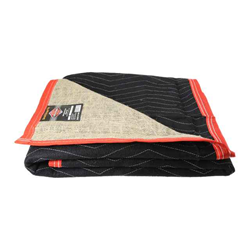 Additionally, a selection of specialty blankets has been added, including casket covers and sound blankets. 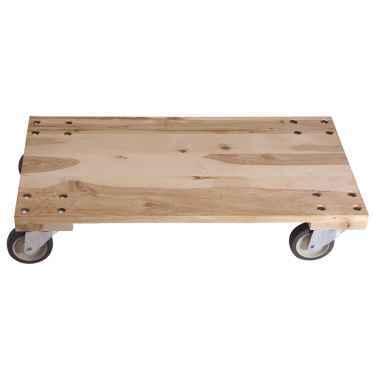 Other new moving supplies now available through US Cargo Control include a durable, solid wood platform dolly, replacement parts for hand trucks, and two sizes of carpet shields, 2" and 3" wide packing tape, and plastic furniture covers. Tonya Kramer, Account Manager for the company’s Moving Supplies division, says the new products are all additions customers have specifically requested. Kramer says a new E-track storage bag is the next new product to roll out soon and will be available when the busy moving season is in full swing. Customers can order online at USCargoControl.com, or call the company’s dedicated Moving Supplies sales directly at 800-989-4863.